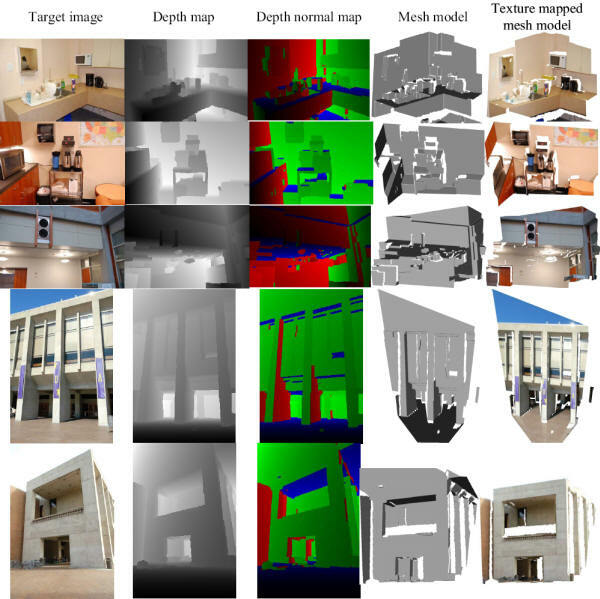 This research (and related paper) presents a novel MVS approach to overcome these limitations for "Manhattan World" scenes, i.e., scenes that consists of piece-wise planar surfaces with dominant directions. Given a set of calibrated photographs, we first reconstruct textured regions using an existing MVS algorithm and then extract dominant plane directions, generate plane hypotheses, and recover per-view depth maps using Markov random fields. We have tested our algorithm on several datasets, ranging from office interiors to outdoor buildings, and have demonstrated results that outperform the current state of the art for such texture-poor scenes.